OG Kush is such a classic strain it keeps appearing again and again in hybrids. Its genetics help you grow strong plants in a range of delicious flavours. Here are five kush hybrids from Royal Queen Seeds that we particularly recommend. Few cannabis strains are as widely loved as the iconic OG Kush. The right genetic factors were developed expertly by cannabis cultivators on the west coast of the United States. What they unleashed on the world's cannabis lovers has ancestral roots going back thousands of years. Kush strains are named for the Hindu Kush mountains where their ancestors flourished in the wild. Modern cultivation has boosted all the properties Kush strains are prized for: strong odours of earthy pine, a profoundly relaxing indica high, and genetics very adaptable when breeding. The ability of Kush strains to work so well in hybrids has led to many creative, flavourful combinations. We curate the most exquisite collection of cannabis seeds here at Royal Queen Seeds. Our catalogue has five particularly cherished strains that are ready to order now. If you want a high-THC plant that's easy to grow, order one of our Top 5 OG Kush Hybrids. There is a faintly golden tinge to the light green buds of Fat Banana. As the name suggests, a banana flavour accompanies this remarkably unique plant. The banana flavour is sweet with hints of citrus, immediately creating a tropical atmosphere. This sensation should lead to mouth-watering effects given the power of its high. It will be a very relaxing high, given the THC-content is known to exceed 25% in ideal growing conditions. Take care of her, and you will be seeing rich harvests within 7–8 weeks of flowering. This balanced hybrid will undoubtedly make your stash more distinctive. A particularly beautiful combination has led to a unique hybrid known as Hulkberry. OG Kush has been bred with Strawberry Diesel, itself a sweet-tasting punch-packing Skunk of legendary dankness. The strawberry flavour is so delicious; it makes for an enticing, intoxicating mix when combined with the pine tones of OG Kush. The Kush side of her genetics pushes the THC-content over 28%. This will lead to a high you need some serious smoking experience to handle her power. Potent, shimmering effects throughout the body accompany immense relaxation are what you can expect. This is an intense high with balanced effects so put aside some time to savour this one. Sweet-tasting tropical flavours can appeal to people in unusual places. For example, there are those deluded enough to think pineapple is an appropriate pizza topping. 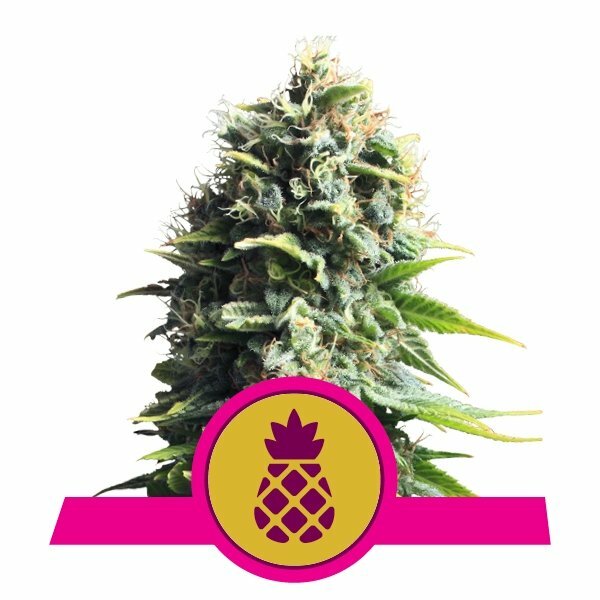 As a flavour for cannabis strains, pineapple makes a lot more sense. For starters, the sweet taste boosts the organoleptic impact of its high. The mouth is processing hints of vanilla, citrus, mint, butter and even caramel, while the indica-dominant high works its magic. The THC-content is over 18% so you are going to feel deep relaxation and the easing of tension. Get growing with our seeds now and you can expect to harvest within 7–8 weeks of flowering. This is a fantastic combination for an indica-dominant hybrid. 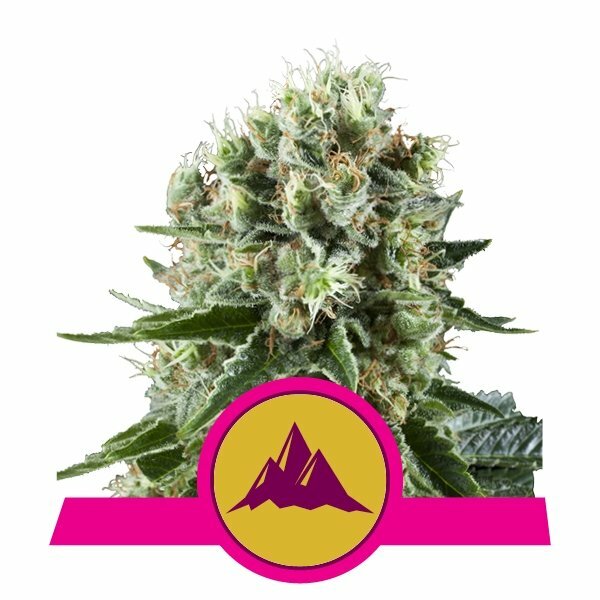 Critical Kush has a powerfully relaxing high it owes not just to Kush genetics, but parent-plant Critical Mass. Like its predecessor, Critical Kush is soothing for the whole body with its indica-focused high and 19–20% THC content. In addition to this, Critical Kush has a significant CBD content, helping keep the high a bit more balanced—ideal for an end of the day relax. This experience is all accompanied by an exhilarating, spicy aroma. Try growing this yourself and you will have thick, fragrant buds within 7–9 weeks of flowering. This strain is highly recommended for those with a sweet tooth. Dessert-strains are a treat, especially while eating dessert. Few dessert-strains could ever match the sweetness of Bubble Kush. OG Kush has been bred here with Bubble Gum, named for its sweet bubblegum flavour. The sensation of its taste adds to the uplift of its high. This hybrid brings the euphoric boost of sativas that could lead to giggles. However, it is also suitable for solo use near bedtime as it combines the sativa uplift with the soothing effects of an indica. Expect a manageable potency from Bubble Kush, with it containing over 16% in THC content. As you can see, we have quite the selection for OG Kush lovers to try out here at Royal Queen Seeds. As you would expect of such an indica-dominant family, the effects are largely relaxing, and the flavours are dank, but there is something special about each individual hybrid that makes them worth checking out for yourself.